New Real Madrid manager Julen Lopetegui has reportedly requested his club seal the transfer of Chelsea midfielder N’Golo Kante. According to Don Balon, the France international could play a pivotal role in Lopetegui’s plans for Los Blancos as he wants to make them more solid. Don Balon report that Lopetegui views it as crucial to give his defence more protection with a rock-solid midfield pairing in front of it and that he’s specifically requested the signing of Kante to alongside Casemiro. 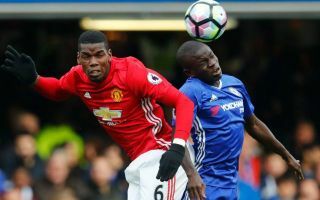 Chelsea won’t want to lose such an important player, with the former Leicester City man widely regarded as one of the best defensive midfield players in the world. Paris United have previously claimed Chelsea would want around €80million to sell Kante, which seems affordable for a club like Real Madrid. This could be a good time to move for the 27-year-old as well, with Chelsea just missing out on a Champions League place after finishing fifth in the Premier League in the season just gone. Kante may well feel he’s due a step up and right now Madrid would certainly represent that as the Blues saw their form dip massively last season compared to the campaign before, even if they did still manage an FA Cup win. Real, however, are in the business of winning serious trophies, having just won a third consecutive Champions League final.